Ana-Maria Baciu has over 20 years of experience in international and domestic business law and currently heads the Intellectual Property and Pharmaceuticals and Healthcare practices of the Firm and co-heads the Gaming and Consumer protection practices together with Cosmina Simion. Also a licensed European trademark and design attorney, Ana-Maria is versed in advising clients and teaming up with both major international law firms and IP boutiques on the full range of intellectual property aspects, including contentious and litigations. She built a strong expertise in gaming, where she has been involved in the review of the relevant new legislation, and is seen as one of the established advisors in this area; Ana-Maria is a General member of IMGL. Complementary, along the years, she developed specific capabilities in the pharmaceuticals and healthcare area, with a particular focus on assisting pharmaceutical manufacturers on compliance and regulatory aspects. technology: including e-commerce & internet related matters, as well as commercial arrangements related to technology development, procurement and licensing. Hailed as “a brilliant IP lawyer,” Ana Maria Baciu is recognised as one of the leading individuals in the area. Clients say she gets “straight to the point and is always very well prepared in her domain”. 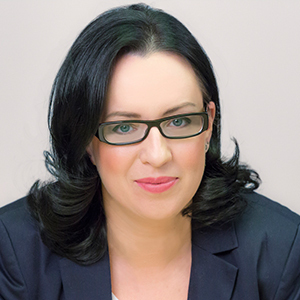 Ana Maria Baciu remains a leading Romanian IP lawyer, praised as “client-oriented and knowledgeable, with a pro-active attitude and good project management skills”. Covering all bases, Ana-Maria Baciu heads up the squad and boasts specialist know-how in the gaming and pharmaceutical industries. According to sources, Baciu is “a tough, pragmatic and logical” lawyer, who “handles everything swiftly and efficiently”. “She is a fast and sharp lawyer with a focus on giving the client concrete input”, says one client. IP chief Ana-Maria Baciu is a force to be reckoned with in pharmaceutical proceedings; her savvy in this area has been formally recognised through her chairmanship of Lex Mundi’s healthcare practice group.